At Acquisition Funding Services, we are specialists in acquisitions, sales and mergers for fire and security alarm companies. In the last 20 years, AFS has handled approximately $350 million in mergers, acquisitions and financing of fire, burglar and integration companies! If you are considering selling your business, or some of your accounts, or are seeking to raise capital to invest in your business, contact us online and request a confidential, free business valuation from an experienced alarm company broker. With decades of experience and millions of dollars in transactions, AFS has the proven track record to put the right buyers with the right sellers in the security alarm industry. This is not a “cookie cutter” approach. The key to success is to ensure that each unique goal, concern and challenge during the process is handled strategically and expeditiously to ensure smooth and profitable transactions. 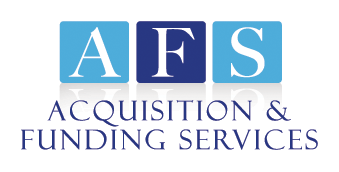 Since 1996, Acquisition & Funding Services (AFS) has been one of the oldest, independently operated funding providers in the security alarm industry. The company was started and is run by a former installing and servicing alarm dealer with over 20 years of industry experience. At AFS, we are passionate about helping fire and security alarm business owners do what’s best for their companies. We want to be your partner for the future. 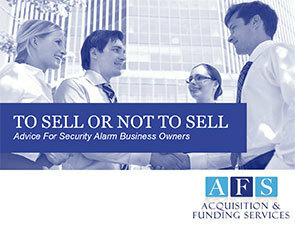 Interested in learning more about how partnering with AFS can benefit your alarm company? Be sure to read through our client testimonials and check out our blog post about the top 5 reasons alarm company owners choose AFS! Prior to founding AFS, Rory Russell owned and operated Empire Security, at the time the largest regional security company in the Northeast, handling $5 million per year in sales and installations. During this time, Empire Security was awarded AT&T’s top sales and customer service awards three years in a row. From 1976-77, Rory attended Embry Riddle Aeronautical University in Daytona Beach, Florida pursuing a Degree in Aeronautical Science/Pilot. From 1977-80, he went on to attend Siena College in Loudonville, New York pursuing a Bachelor’s Degree in Marketing Management. Rory feels that contributing to one’s community is of paramount importance. He is an active, long-time member of the Lake George Association; supporting environmental protection and preservation initiatives of the lake that he has called his residence for over twenty years. Rory was also named “Man of the Year” by the Kolman Foundation for Breast Cancer and worked as a Community Liaison on the School Board Advisory Group in Niskayuna, New York. Rory supports the Hole in the Woods Ranch with both time and finances. In addition, he is an active fundraiser for Child Help (www.childhelp.org) which is a national organization dedicated to the prevention and treatment of child abuse.